Harry and the Hightones will kick off an evening of blues at the next Roots Music Concerts at the Pioneer Museum in Fredericksburg on Saturday, August 20. Also performing are blues legend Lightin’ Malcolm and Joanne Shaw Taylor. “The blues” take over Pioneer Museum in Fredericksburg for the next Roots Music concert on August 20, 2011. 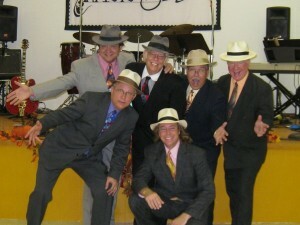 At 6 pm, local favorites Harry and the Hightones start things off with a lively mix of jive, swing, blues, and originals. The tight and talented band comes off with a 1940s “noir” style of dress, presentation, and music that draws couples to the dance floor. At 7 pm, Lightnin’ Malcolm brings his high energy, hill country blues fused with funk, reggae, soul, and rock. Ever since he discovered a cassette of Muddy Waters, Lightin’ Malcolm has traveled the South, writing, singing, and playing the blues. He prefers the style made famous by Fred McDowell, R.L. Burnside, Junior Kimbrough, and Jessie Mae Hemphill. Finishing off the evening starting a t8:40, Joanne Shaw Taylor . As a schoolgirl in England,Taylorwas smitten by the rough side of American blues – Stevie Ray Vaughan and Jimi Hendrix. When she finally got her hands on her first Telecaster, she was carving out her own path in making the blues – funky shuffles, soulful ballads, and burning instrumentals. This will be her first time to perform in Fredericksburg. Diners will have their choice of 12 oz. rib-eye charbroiled and cooked to order on site by Longhorn Street Cafe, or thick-cut pork chop, with twice baked potato, green beans, dinner roll and peach cobbler. Meal is $10. Sodas, beer, wine and water are for sale on the grounds. ThePioneer Museum is located at 325 West Main Street in Fredericksburg, with entrance gate onMilam Street. Free parking. Bring lawn chairs. All concerts take place on Saturdays,6 – 10 p.m. Gates open and food is served beginning at5 p.m.
Upcoming genres include a Roots “Remix” in September, and an indoor concert for October. Information at 830-997-2835, www.pioneermuseum.net, info@pioneermuseum.net.